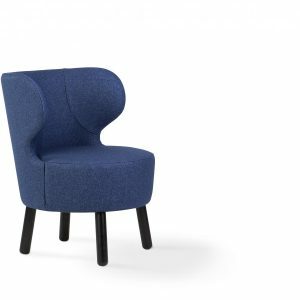 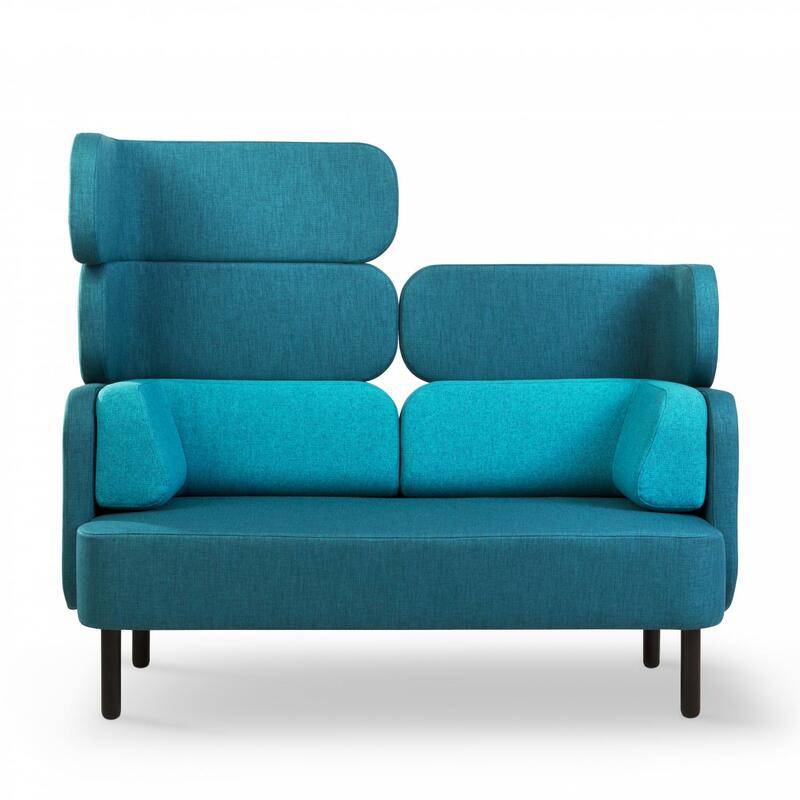 With designs suited to foyers, hospitality, activity based working, and break out areas lounge furniture transforms interiors into adaptable spaces with the ability to add personality through form, function, colour and texture. 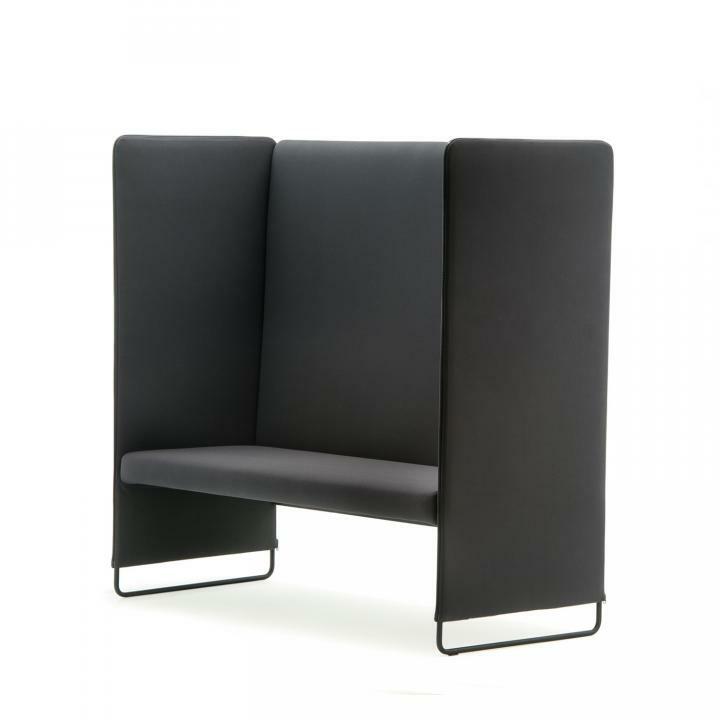 Perfect for creating different spaces or adding a feeling of privacy within an open plan office. 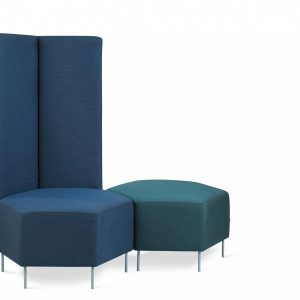 Longo is a system that fuses soft seating with typical office furniture pieces using a platform which acts as a link to connect and branch numerous modules in a space. 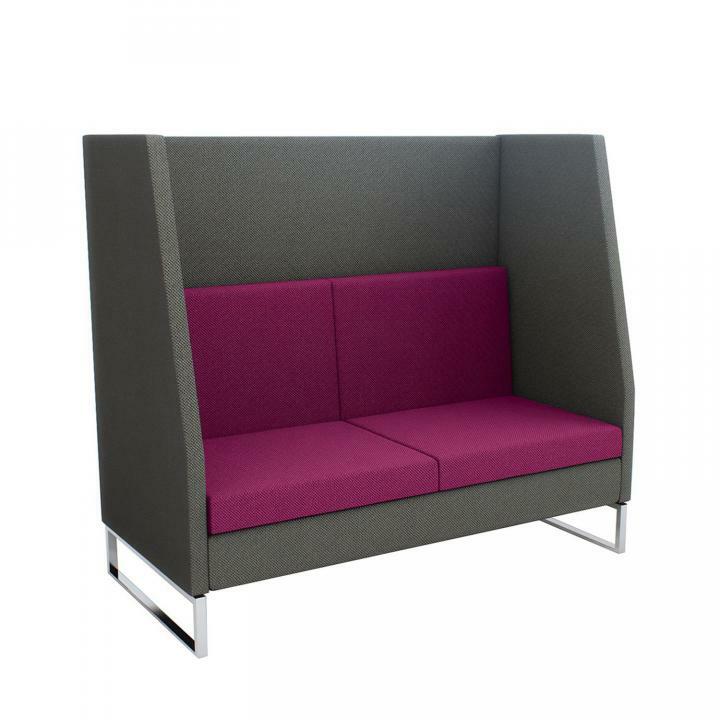 The system is designed to inspire a more friendly, open and relaxed environment, where formal structures and dynamic spaces thrive to create a harmonious environment where staff can focus and then achieve relaxation when necessary. 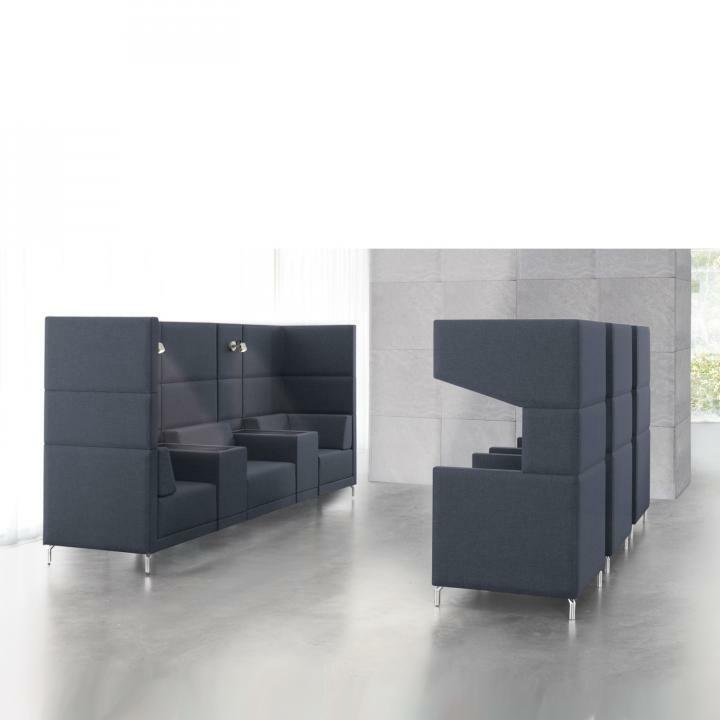 The Longo modular system consists of sofas, workstations and managerial desks, with storage solutions (cabinets, libraries), accessories and sound absorbing panels which incorporate decorative accessories. 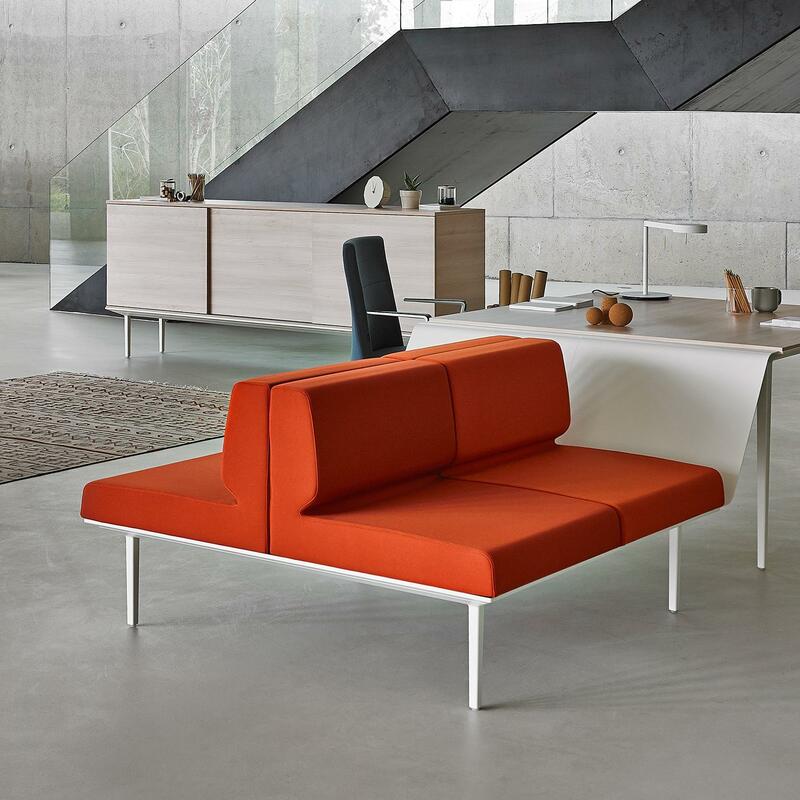 Longo offers endless possibilities to achieve your desired environment, while always maintaining a unified visual concept. 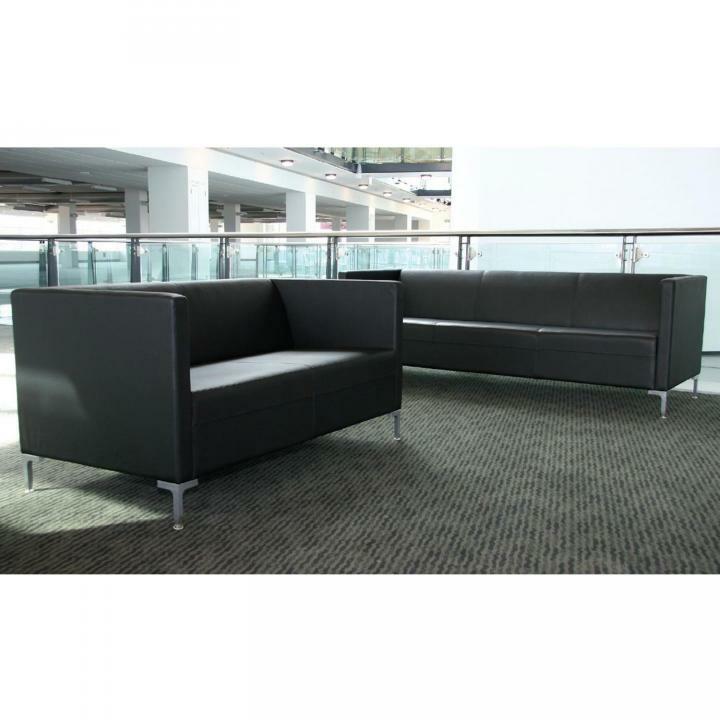 The stylishly designed Studio lounge is ideal for combating issues of open plan work space. 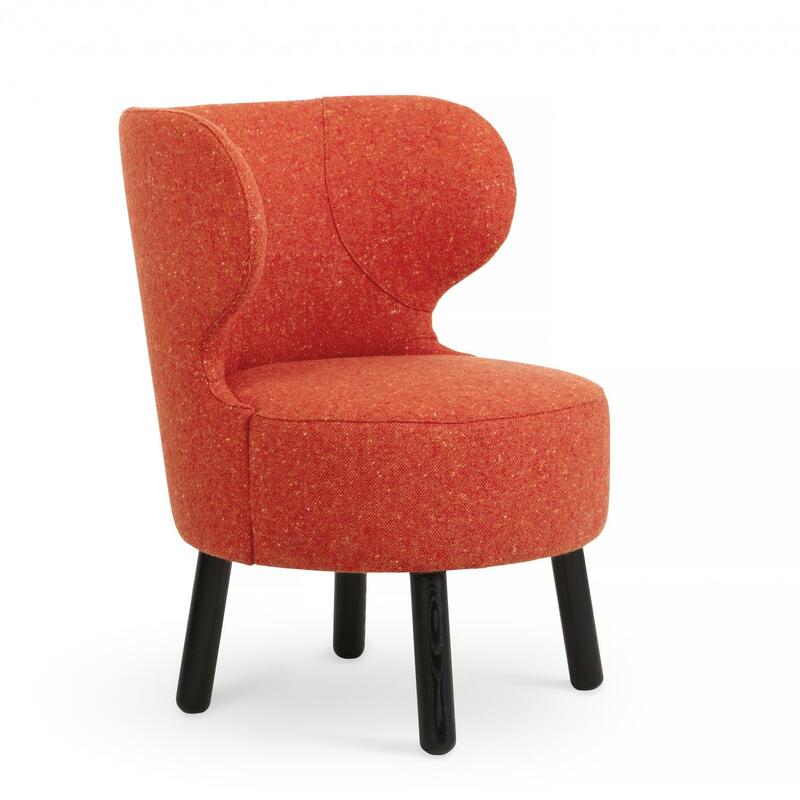 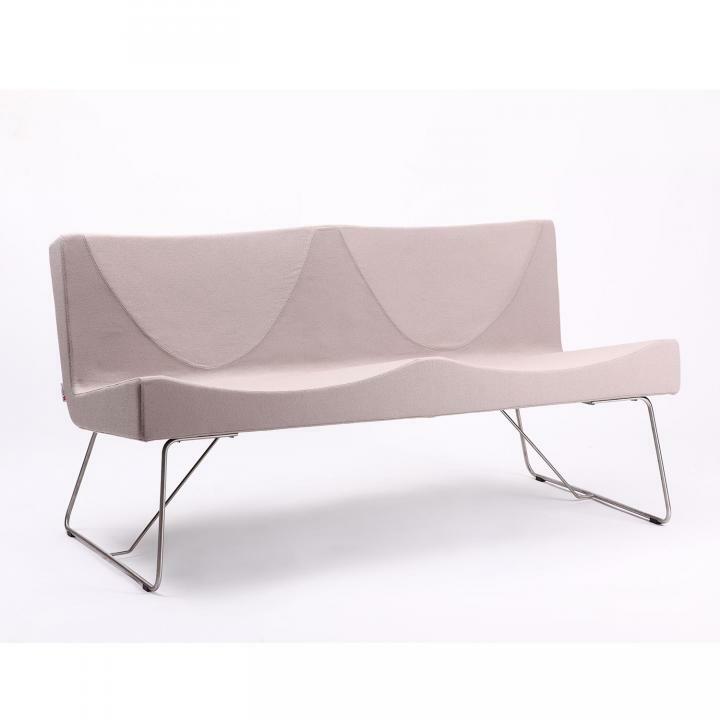 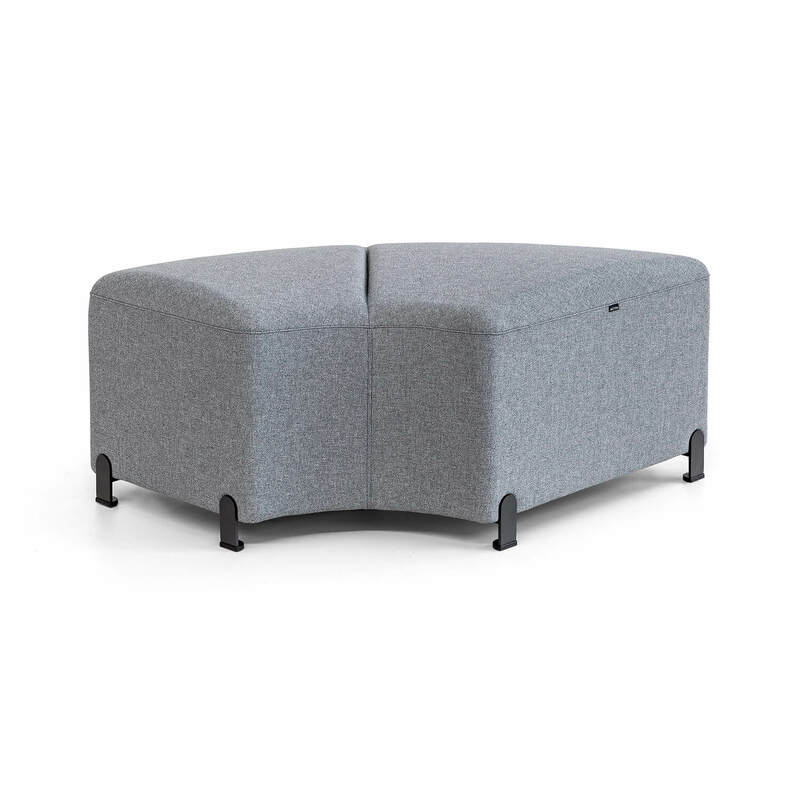 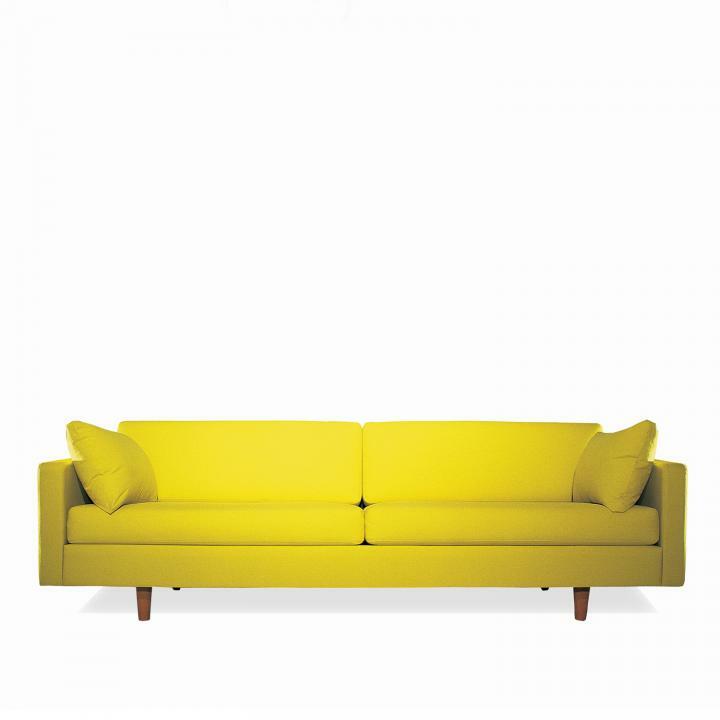 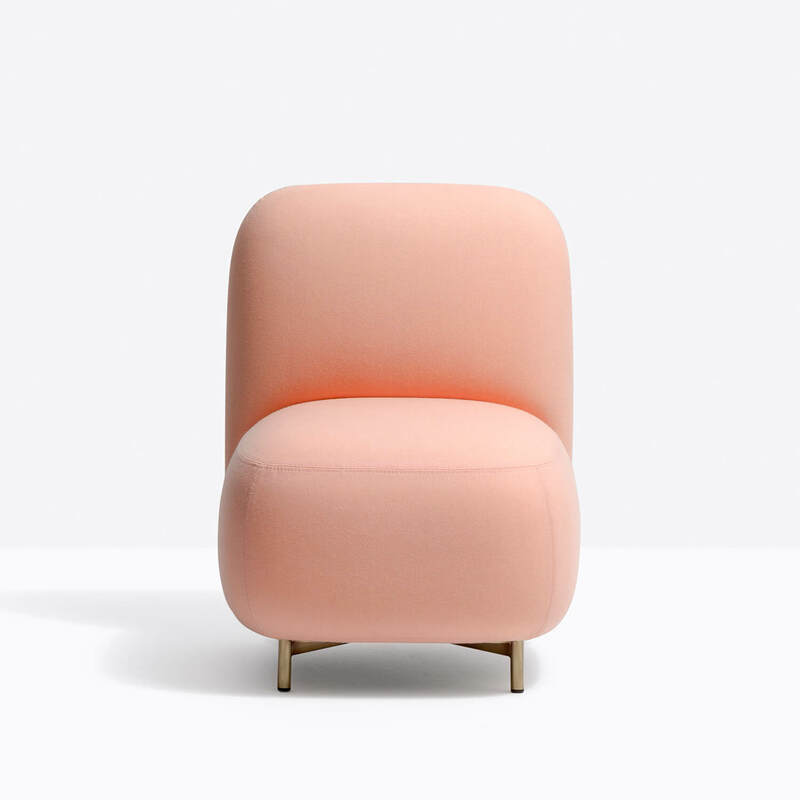 Its sturdy, high soft sides create an acoustically sound seating area. 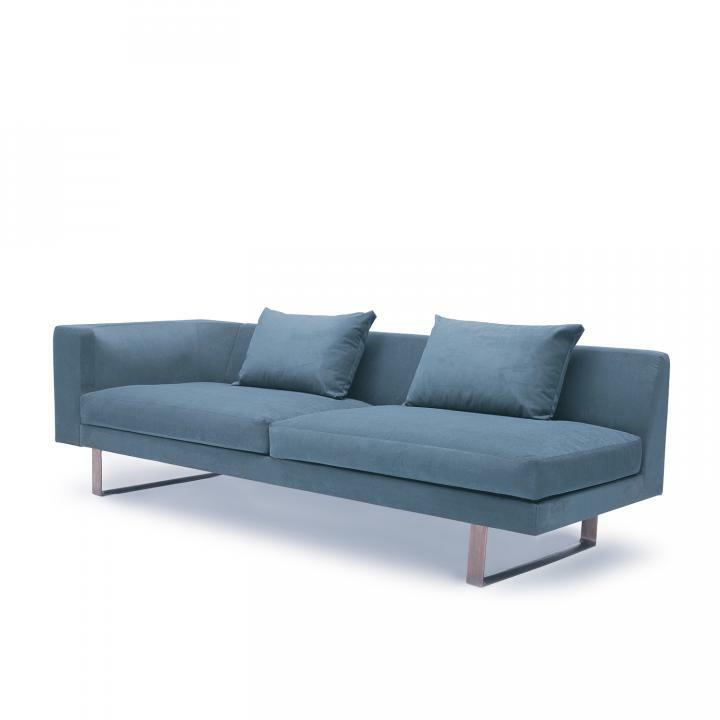 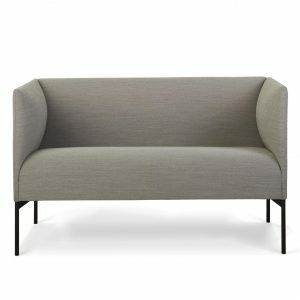 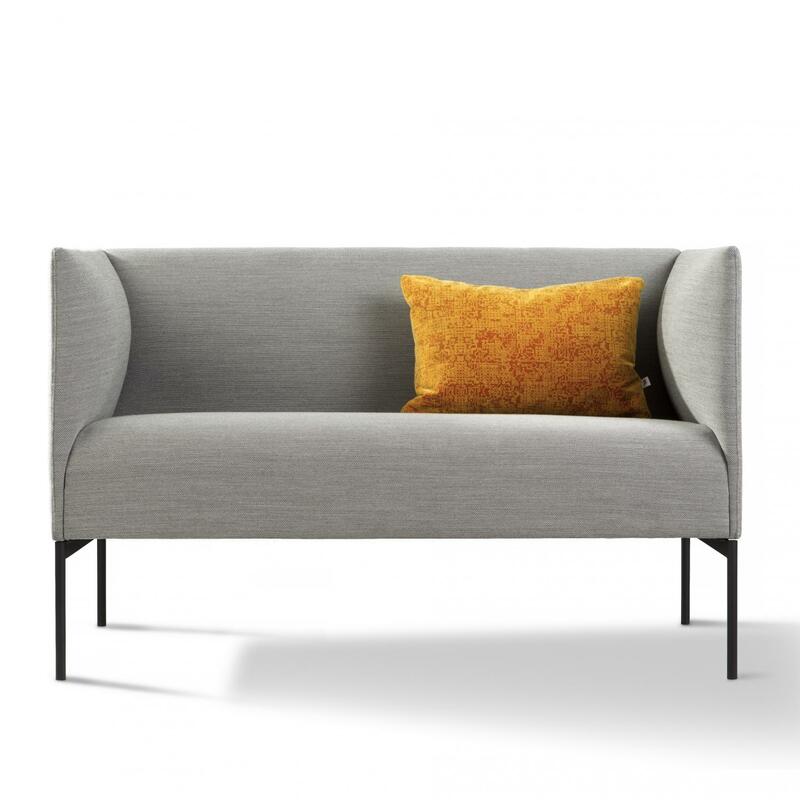 Designed to complement Woodmark's Amelia chair, the Sophie 2-seater settee has a moulded-foam body on a stainless steel base. 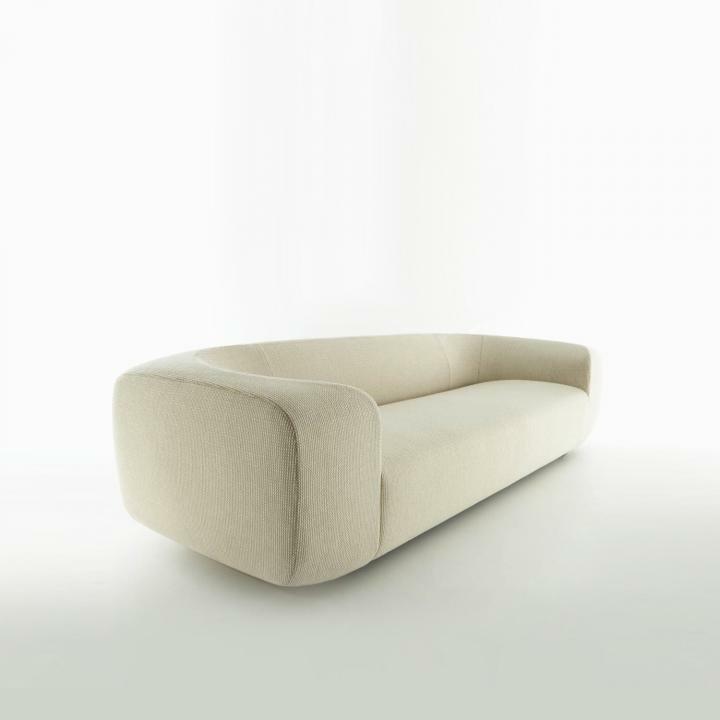 Pieces in this family were created under a simple design philosophy - to be both pleasing to use and easy to manufacture. 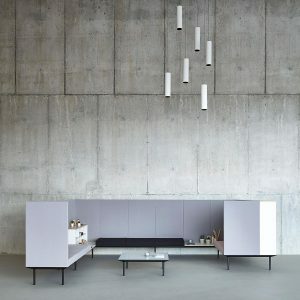 The result being beautiful, functional and cost-effective designs. 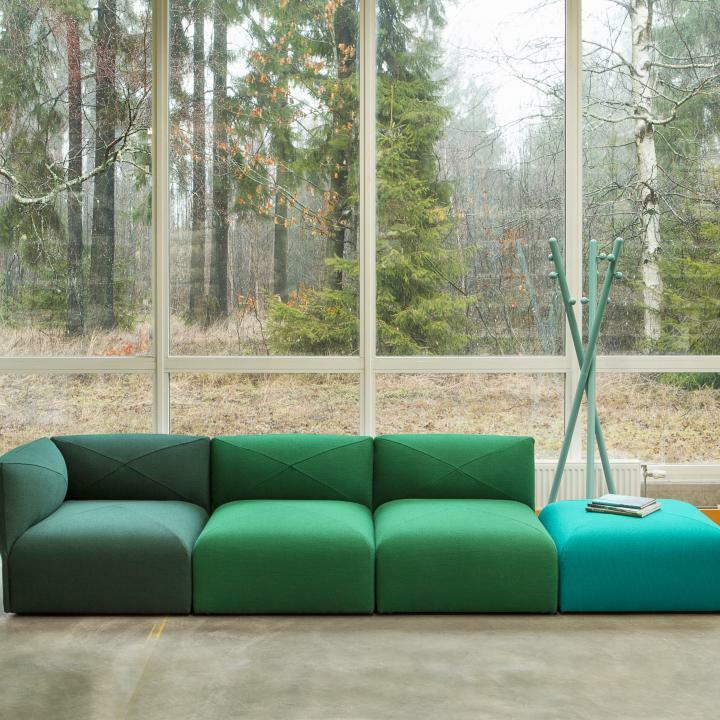 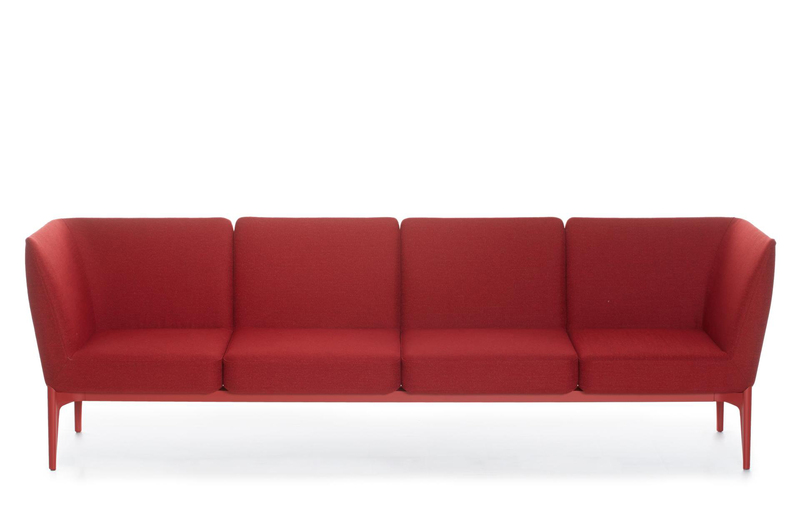 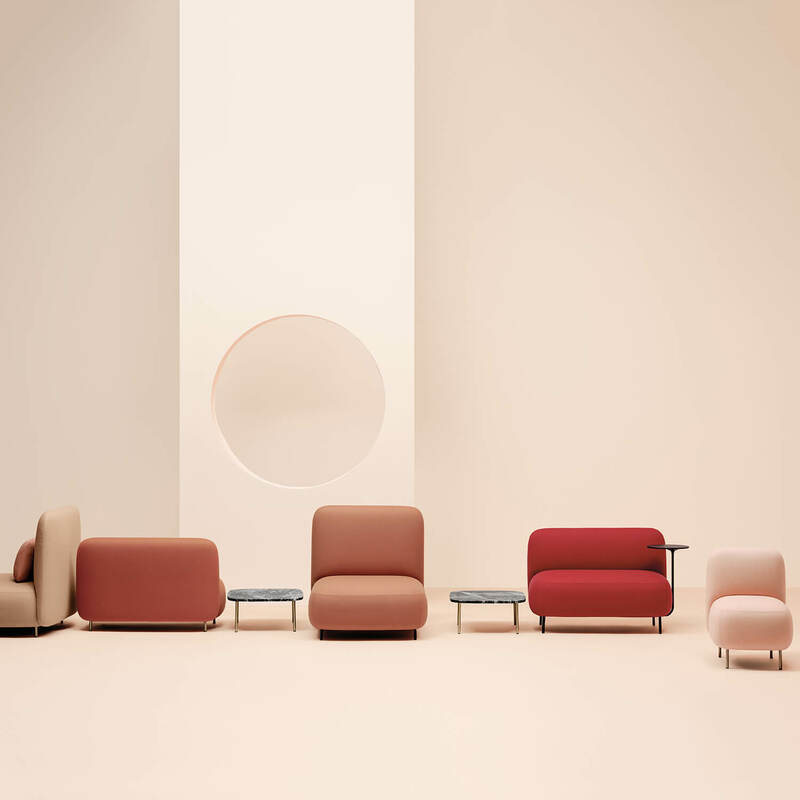 Pedrali Social is a modular system of linear seats, angular sofas and ottomans that create a myriad of designs to accommodate moments of sociability. 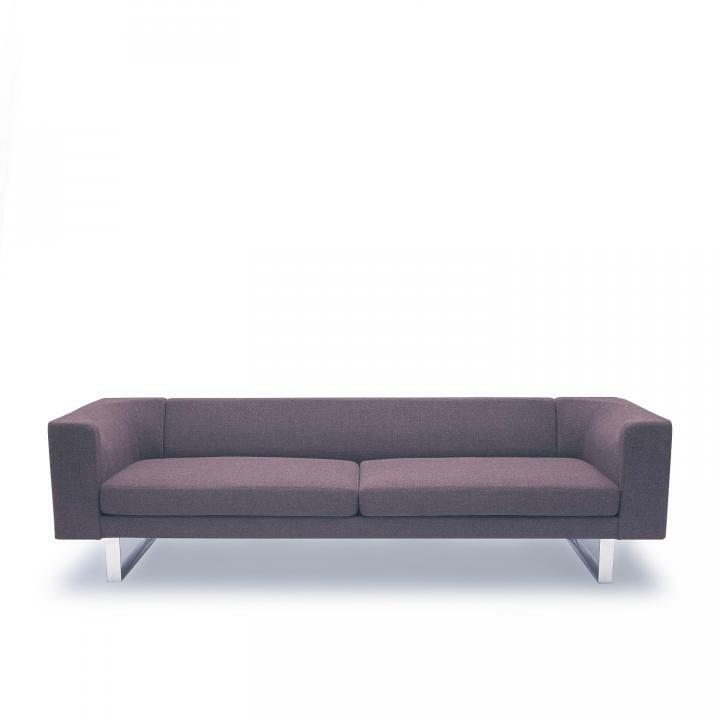 A sleek and attractive design, made even lighter by the presence of minimalist legs in die-cast painted or polished aluminum. 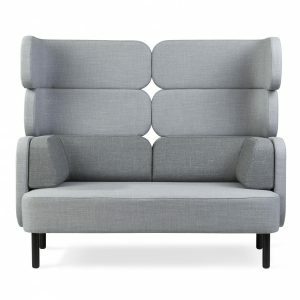 Constructed from polyurethane foam with elastic straps supporting the back, and covered in fabric or leather. 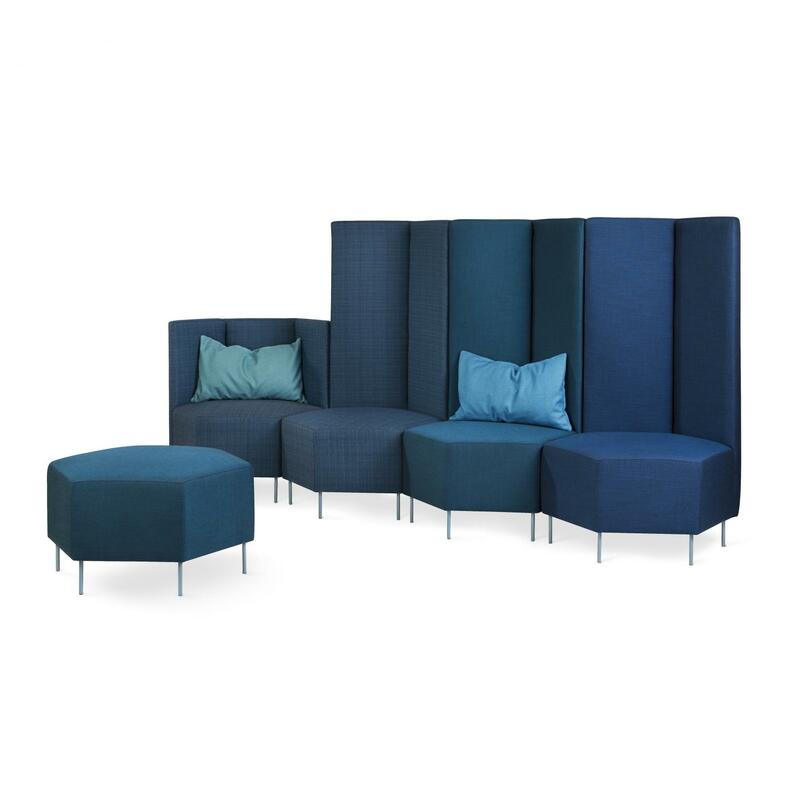 Designed by Helene Tiedemann, the TALK collection offers a variety of set ups and configurations for the lobby, reception, breakout room and more. 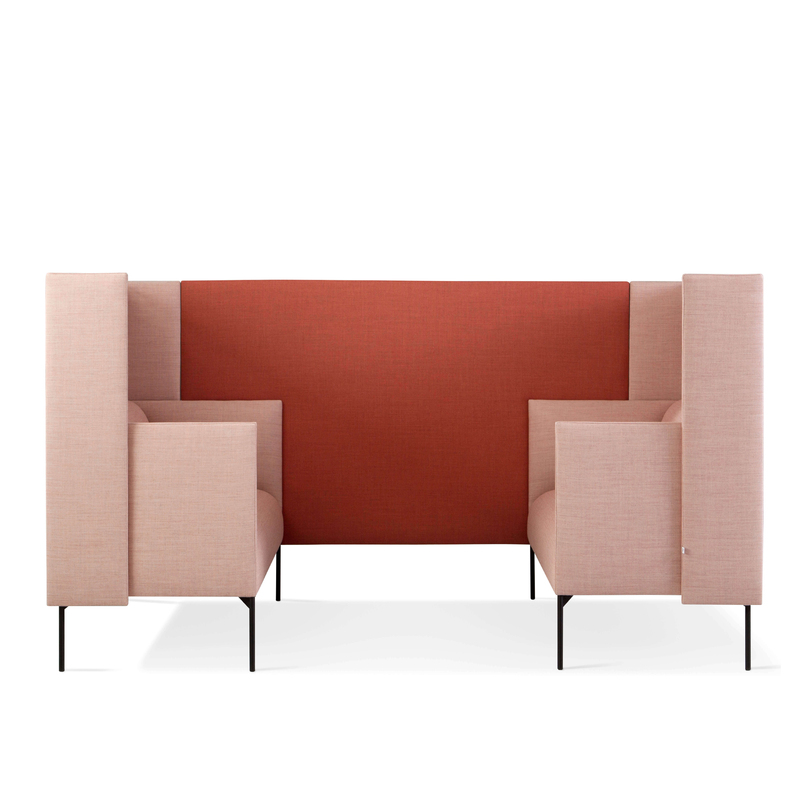 Strict yet friendly, the TALK High Back and High Back with connector screen provides acoustic benefits in a collaborative setting in very comfortable seating designed to fit in just about anywhere with its slender dimensions. 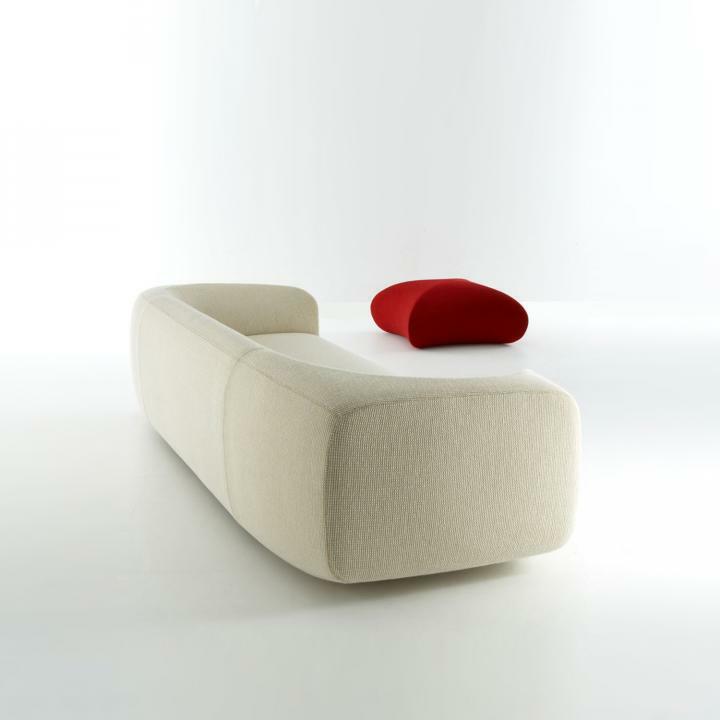 Bend is a playful system of soft seating and tables. 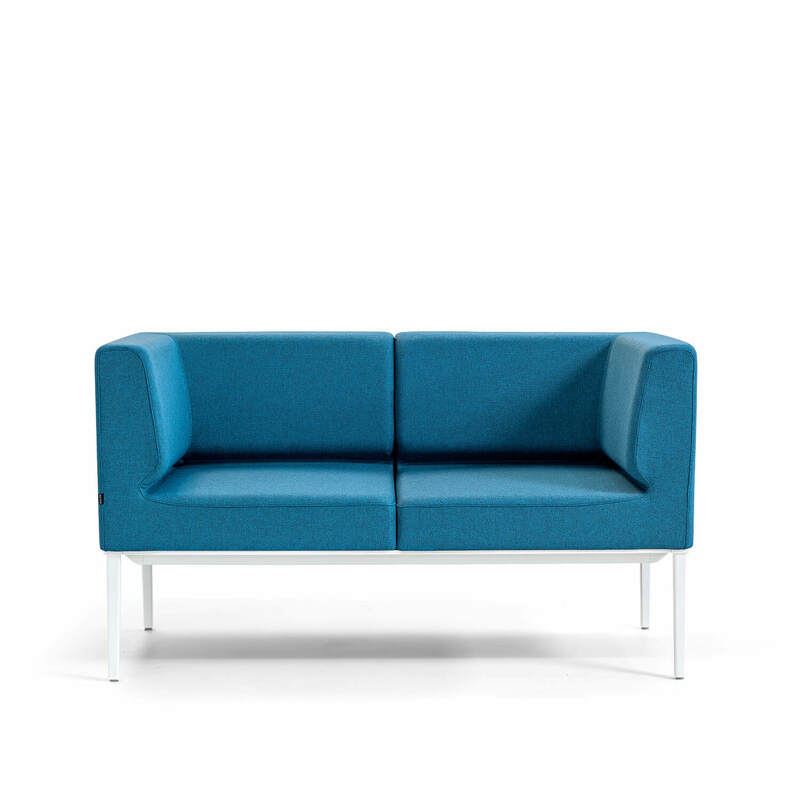 It’s tight curves keep it to a compact footprint, whilst comfortably accommodating multiple users. 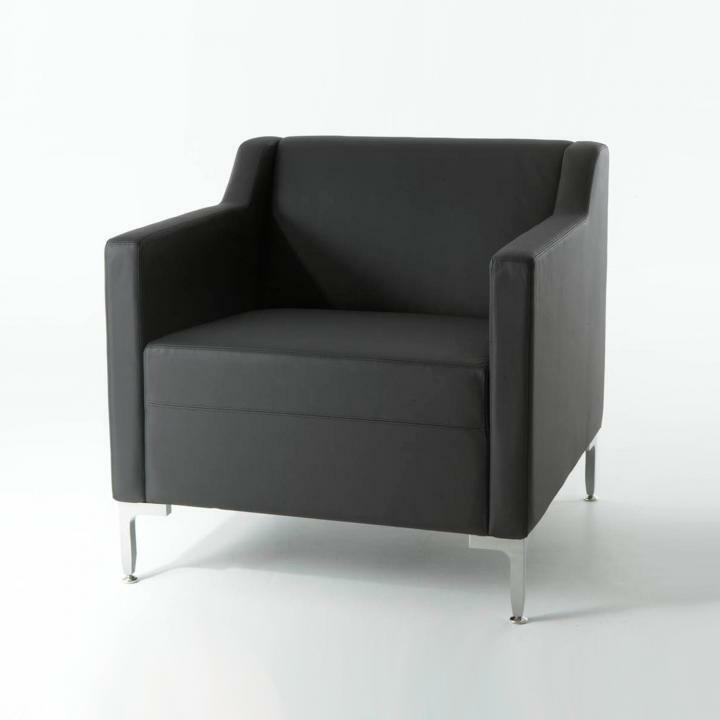 The Bend Series 10 has folded steel feet which are 50mm high, keeping it close to the ground. 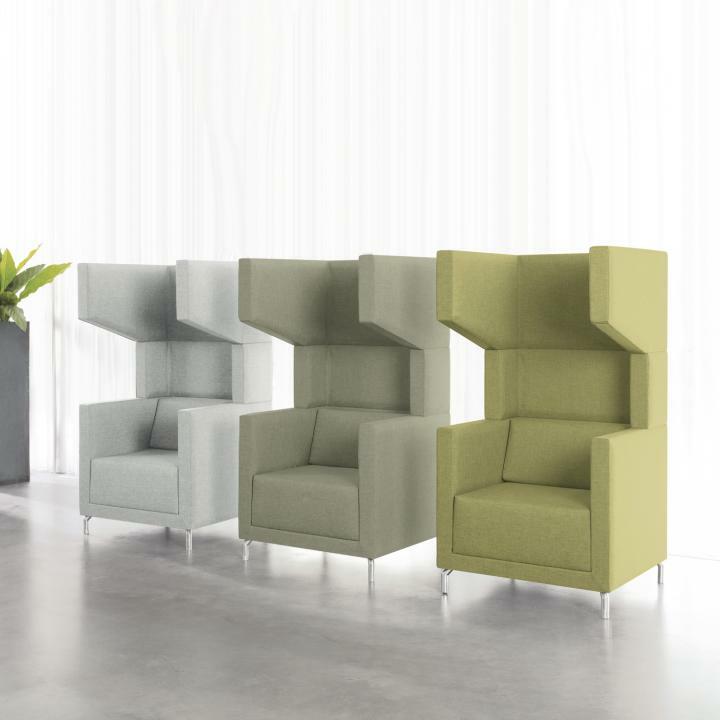 Most modules are available with or without a backrest, with the metal feet extending upwards as a feature. 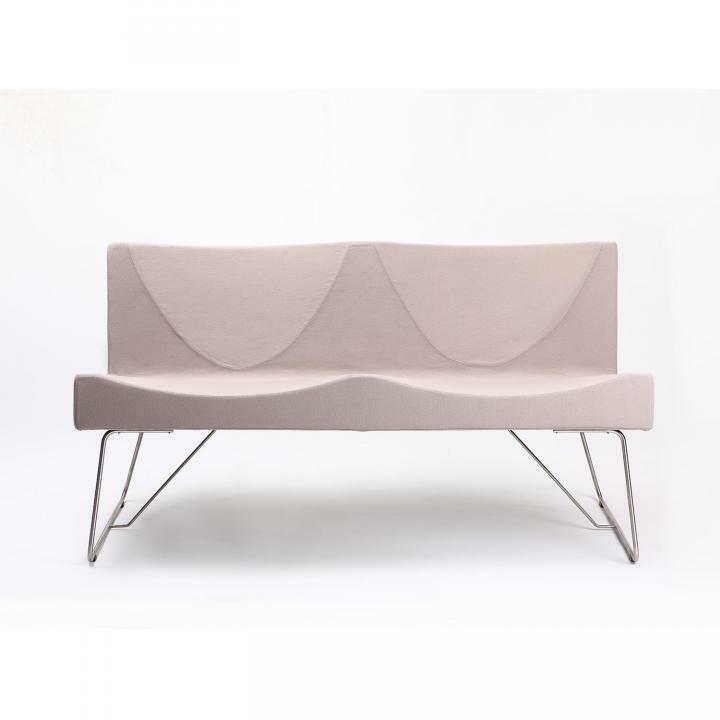 The individual pieces vary from symmetrical to irregular shapes, creating orderly configurations with an organic feel. 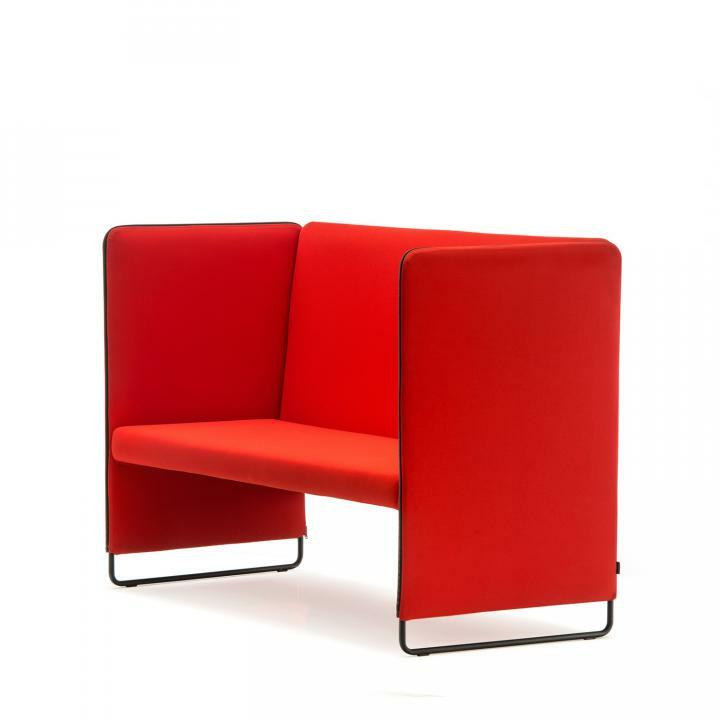 Longo Nomad is an independent family of seating, adapted from the Longo system. 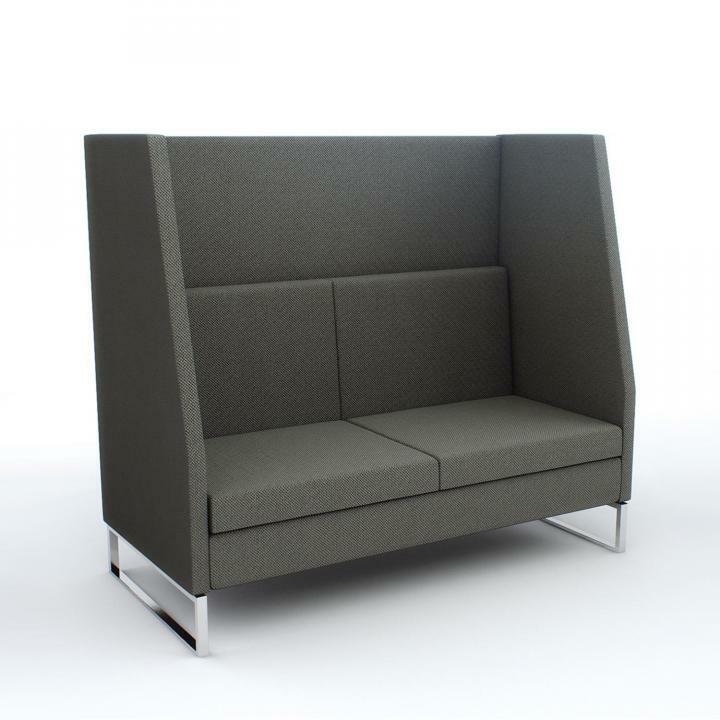 Longo Nomad takes the styling of Longo and translates it into a series of versatile soft seating with a compact footprint. 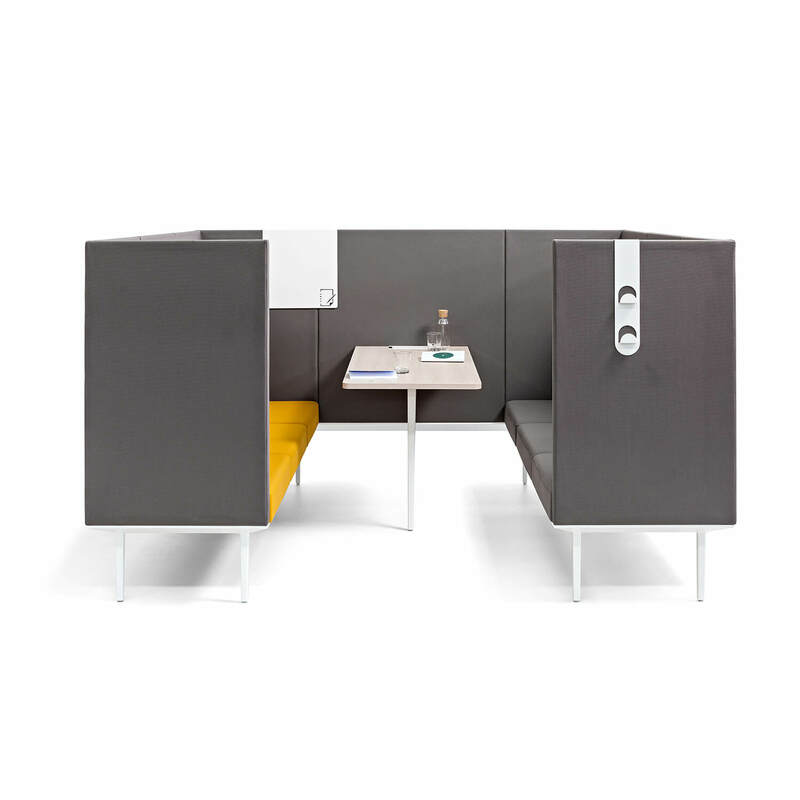 Longo Pod is a private meeting configuration of longo. 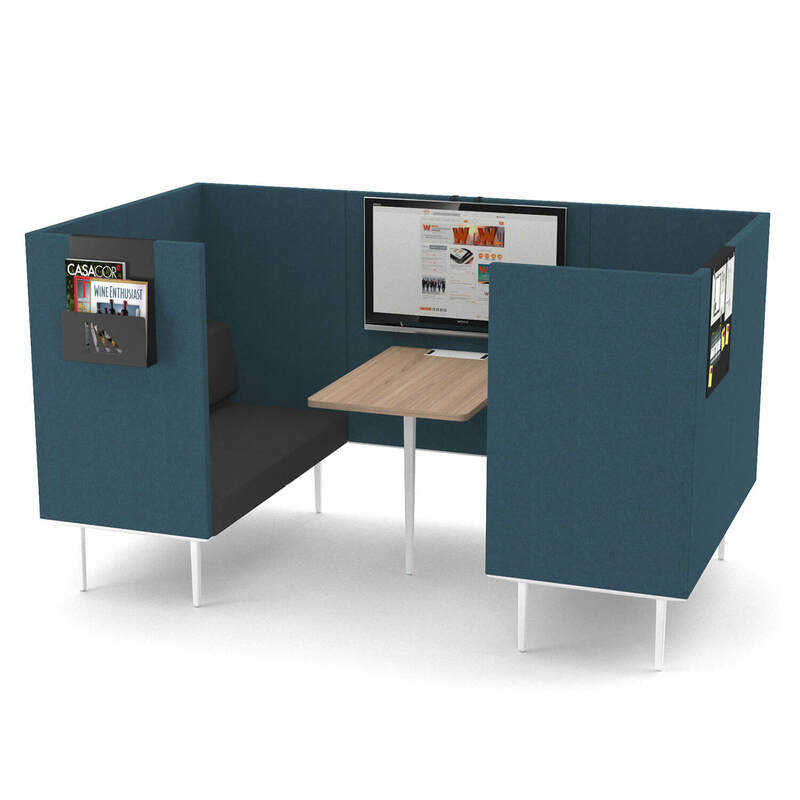 Longo Pod Modules use 1030mm H acoustic screens, soft seating and meeting tables to create intimate spaces to suit 2,4 or 6 people. 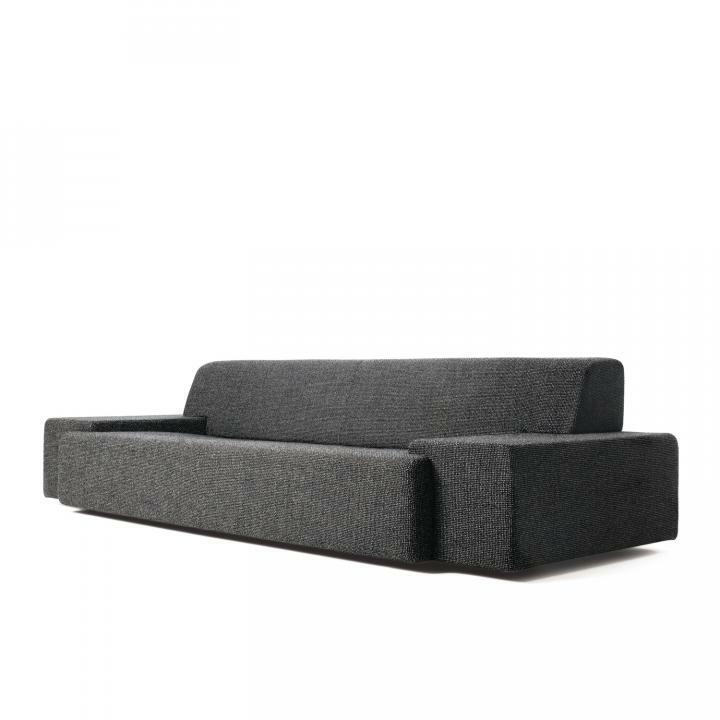 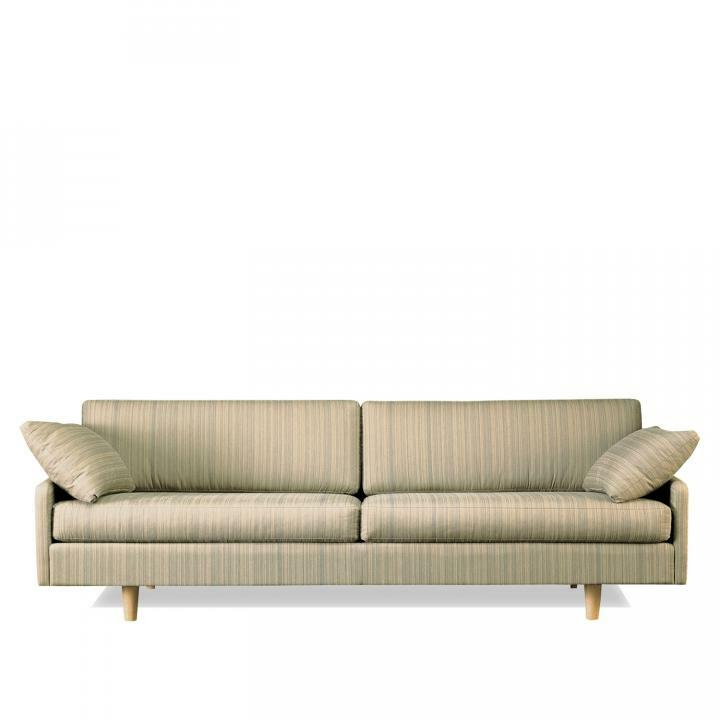 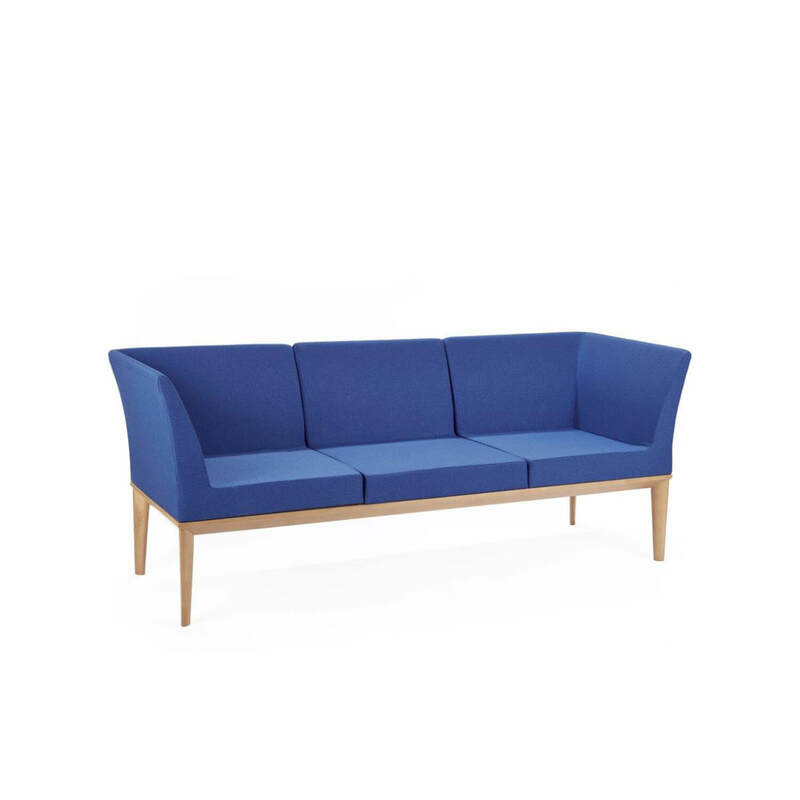 Adapt is a modular system of sofas and ottomans on simple but versatile beech timber frame. 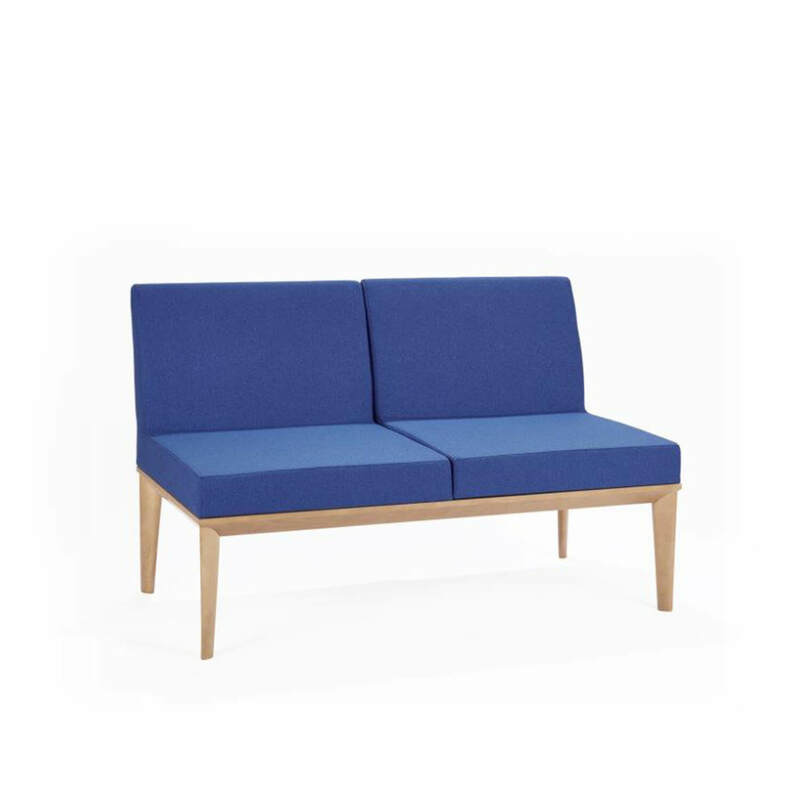 Adapt allows you to build various configurations starting from a single, two seater or three seater frame, and adding upholstered seats, backs and arms where you need them. 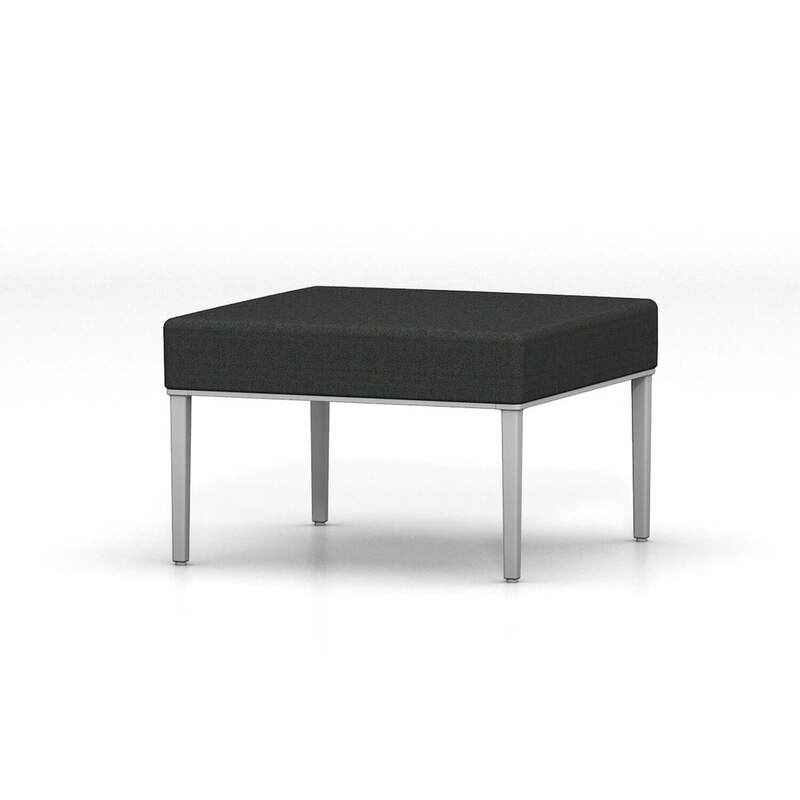 Table tops are also available to act as a side table. 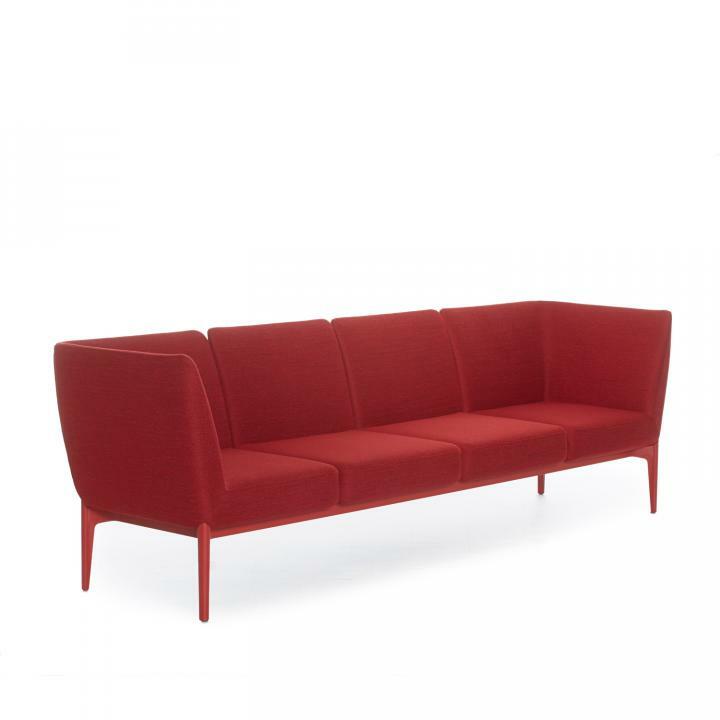 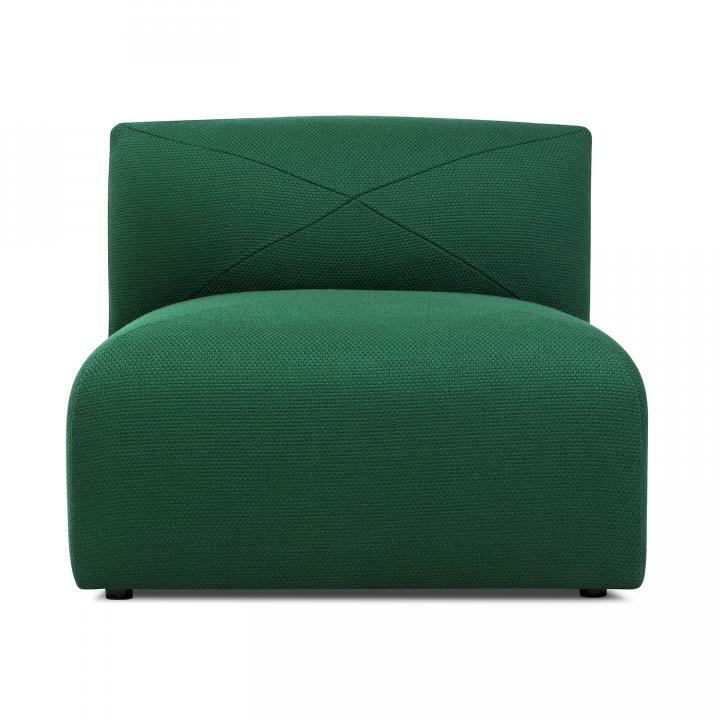 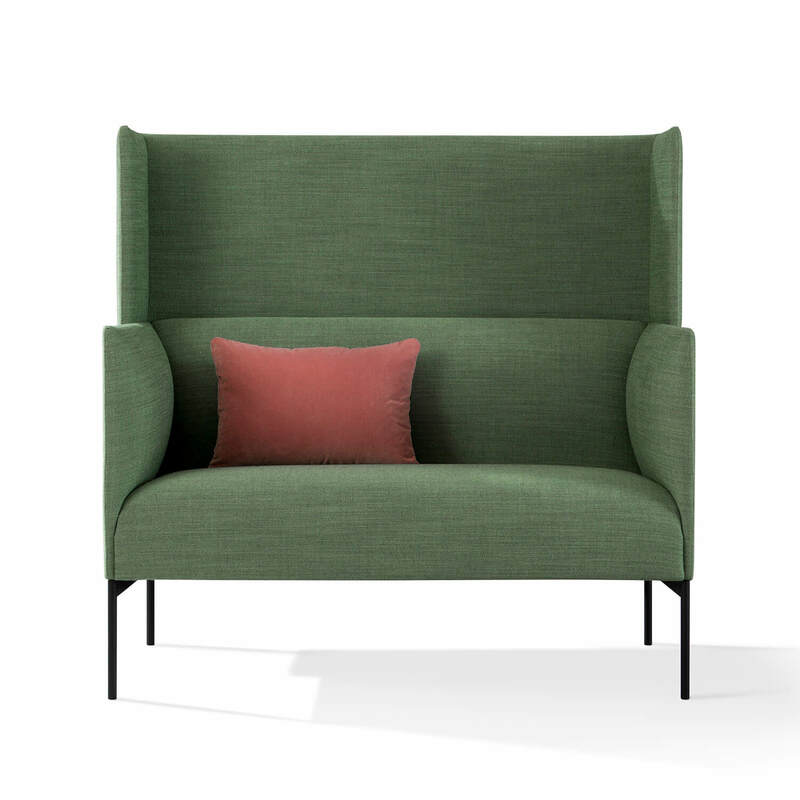 Adapt is designed and made in Italy, but is locally assembled and upholstered in either a house fabric or a material of your selection.